Now we are going to create two specifications and link them together. 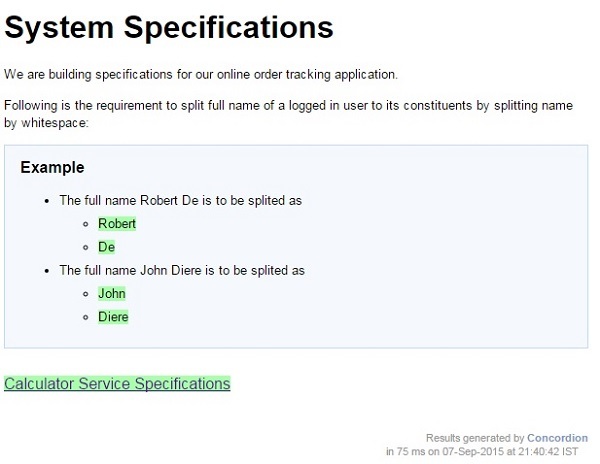 We'll be reusing the specifications created in Concordion - Execute on List and Concordion - Execute on Table chapters as System Specifications and Calculator Specifications. 4 Create Fixture classes SystemFixture, CalculatorFixture under the specs.tutorialspoint package. 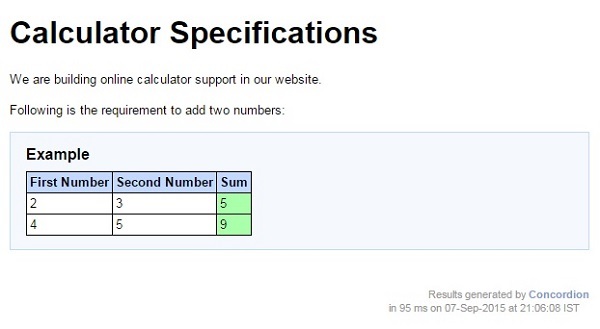 5 Create Specification html files System.html, Calculator.html under the specs.tutorialspoint package.